BO957. 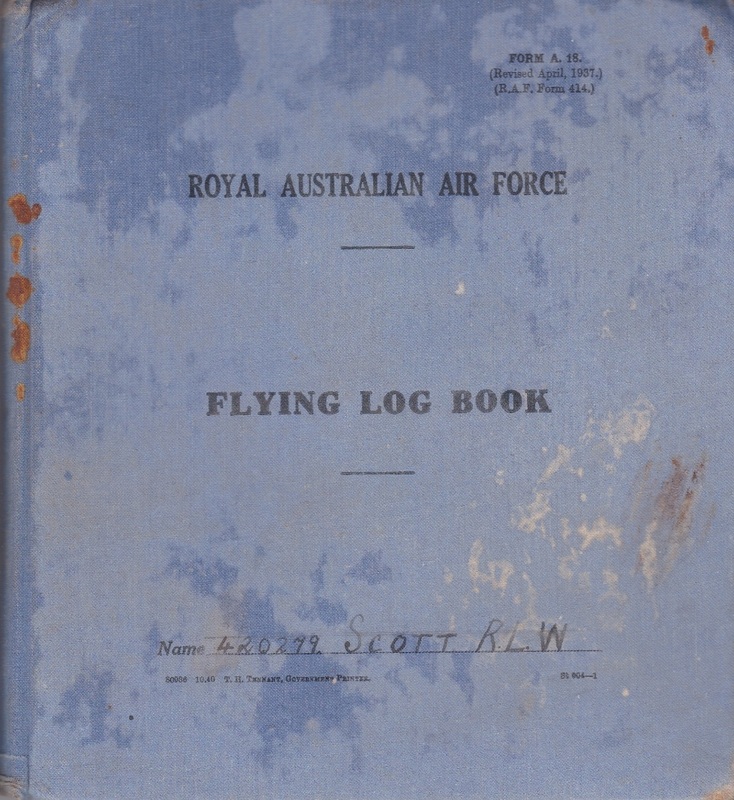 A Flying Log Book named to 420279 Scott R. L. W. at No 8 Elementary Flying Training School at Narrandera NSW. Richard enlisted on 11 Oct 1941 at Sydney and discharged with the rank of Flight Lieutenant on 22 Nov 1945 from Air Force Headquarters. His flying career was discontinued on 21 Jul 1942. BO976. 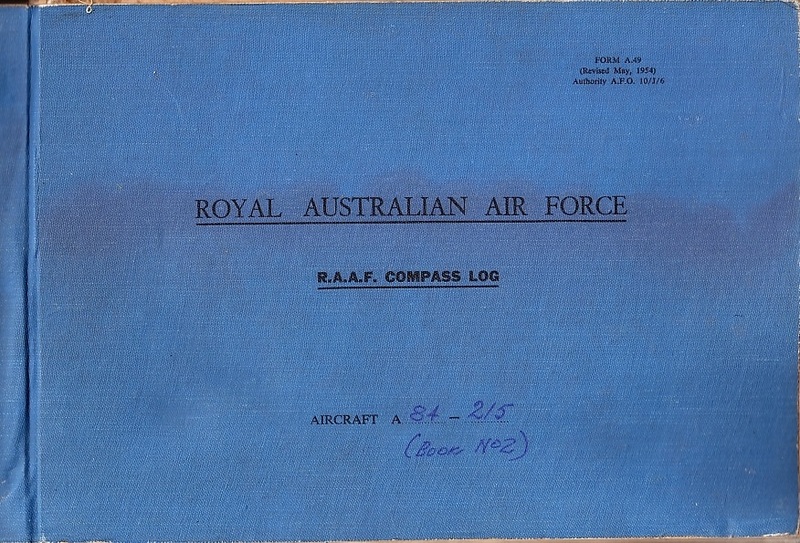 A Compass Log Book for aircraft A84-215 a Canberra Bomber at No 3 Aircraft Depot RAAF Amberley from 19 Sep 1962 to 6 Nov 1970. BO1018. BO1018. 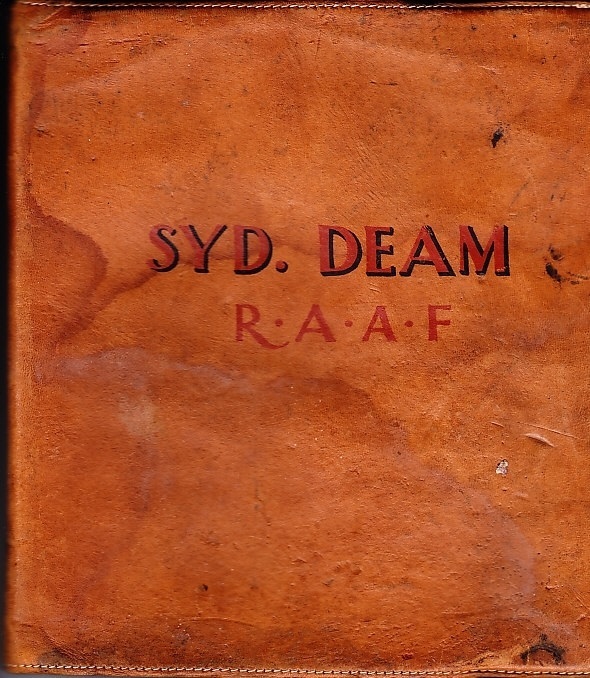 A Flying Log Book with a leather cover named to Deam C. S. R. Charles Sydney Robert Deam enlisted on 9 Mar 1936 at Laverton and discharged with the rank of Warrant Officer on 9 Mar 1954 from Base Squadron Pearce. The book starts on 9 Aug 1943 at 11 E.F.T.S. Benalla and finishes on the 30 May 1945 at 15 (P) AFU Canada. Syd was authorised to wear his Pilot’s Flying Badge w.e.f. 6 Apr 1944 at No 3 S.F.T.S Calgary, Alberta. BO1020. BO1020. 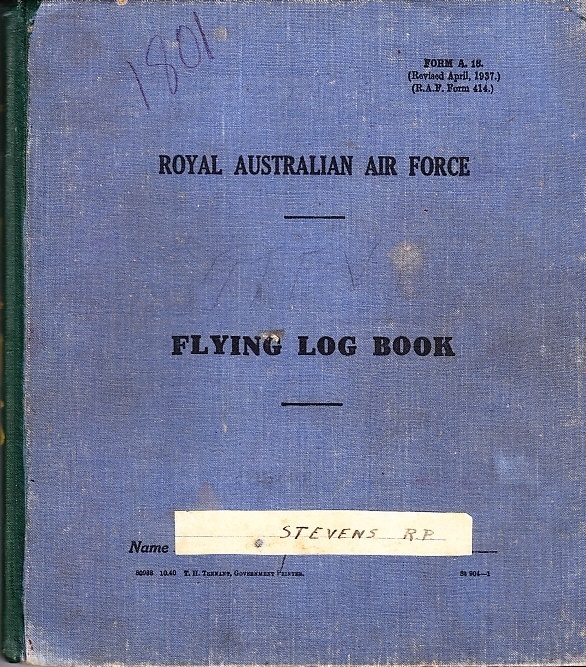 A Flying Log Book named to 414110 Stevens R. P. Richard Paynter Stevens enlisted on 2 Jul 1941 at Brisbane and was killed in a flying accident at West Sale VIC on 5 Jun 1943 as a Sergeant with 3 Bomb and Gunnery School. The book starts on 12 Aug 1941 at 12 E.F.T.S. and finishes 5 Jun 1943 at 3 BAGS. BO1021. BO1021. A W/T log Book named to 417872 LAC Mills G. S. Gordon Stanley Mills enlisted on 18 Jul 1942 at Adelaide and was KIA on 15 Feb 1944 while serving as a tail gunner in a Sunderland with 10 Squadron. Gordon was the only casualty, hit by a stray bullet from an ME109, while patrolling over the Bay of Biscay. BO1056. 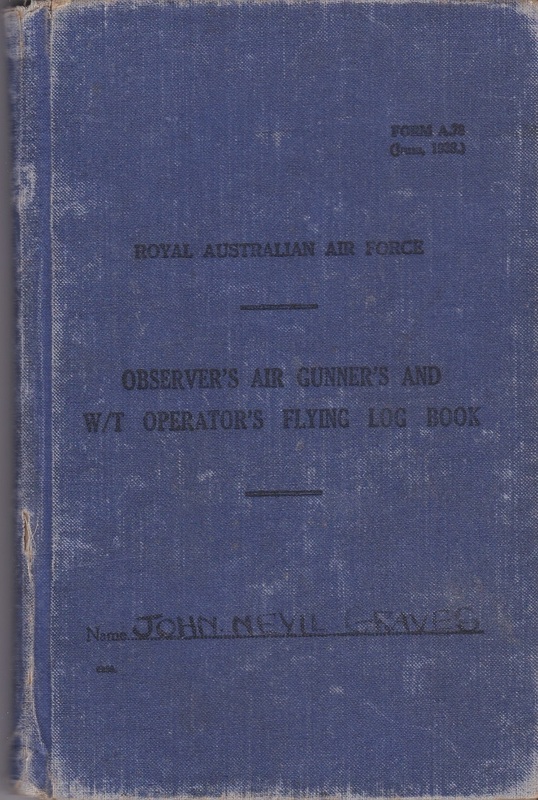 An Observer's Air Gunner's and W/T Operator's Flying Log Book named to 423101 Graves J. N. The book starts on 21 Sep 1942 at No 1 Air Observers School Cootamundra and finishes on 8 Mar 1945 in the Malta flying VIP aircraft. BO1057. 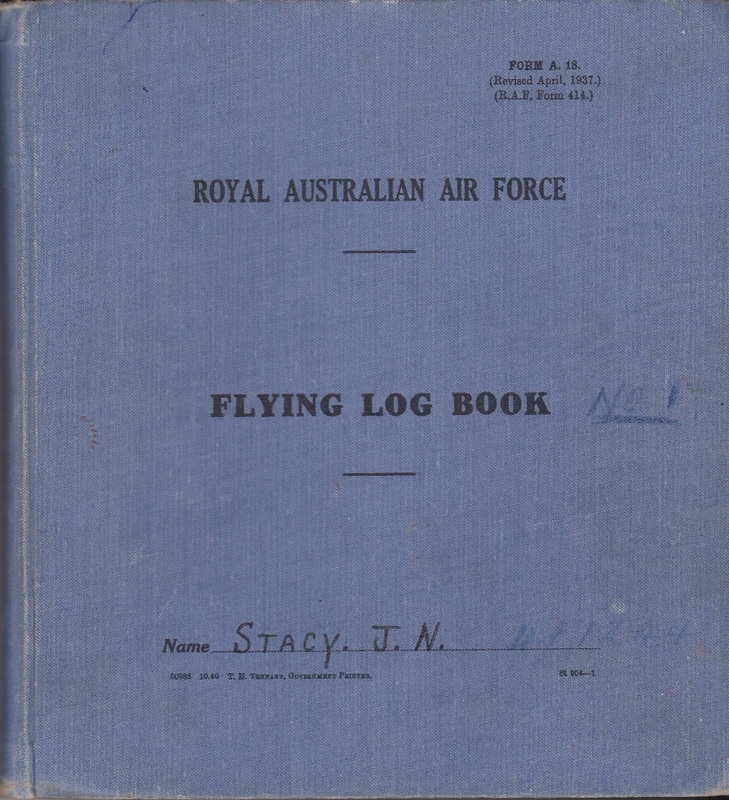 2 Flying Log Books named to 417244 Stacy J. N. Jack Noel Stacy enlisted on 31 Jan 1942 at Adelaide and discharged with the rank of Flight Lieutenant on the 15 Mar 1946 from 35 Squadron. 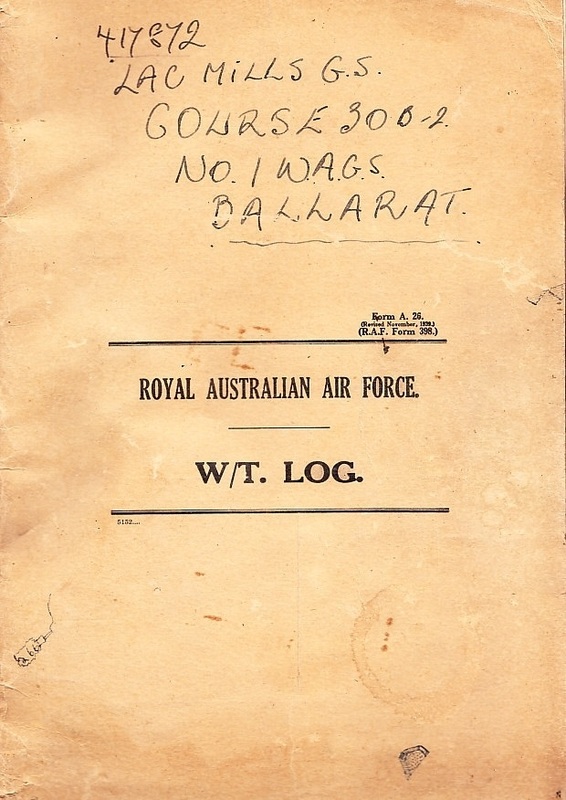 The book starts on 23 Aug 1942 at No 11 Elementary Flying Training School at Benalla and finishes on 14 Feb 1946 at 35 Transport Squadron. BO1059. 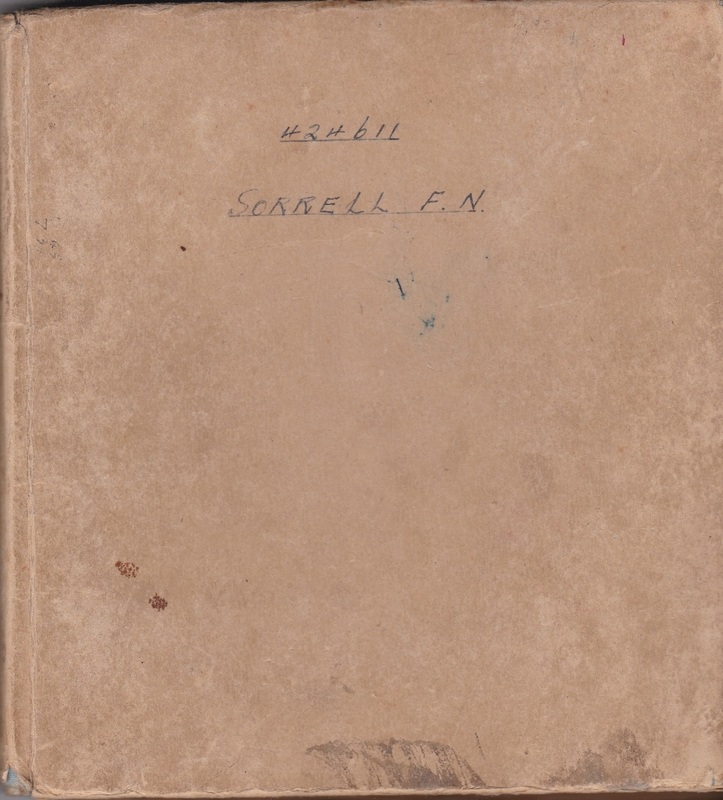 A Flying Log Book named to 424611 Sorrell F. N. Frank Naughton Sorrell enlisted on 10 Oct 1942 at Adelaide and discharged with the rank of Flight Lieutenant on the 27 Dec 1945 from Pembroke Dock. 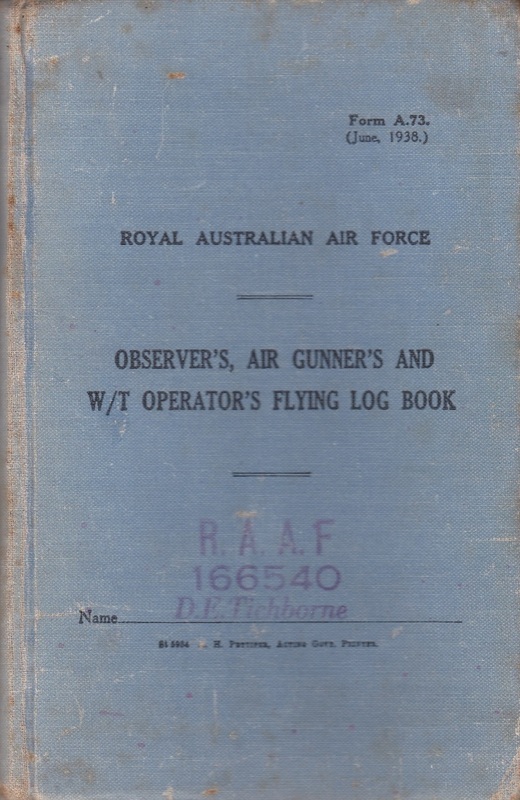 The book starts on 15 Jan 1943 at No 1 Elementary Flying Training School at Parafield and finishes on 8 Jun 1945 at 461 Squadron flying Sunderland aircraft. BO1060. 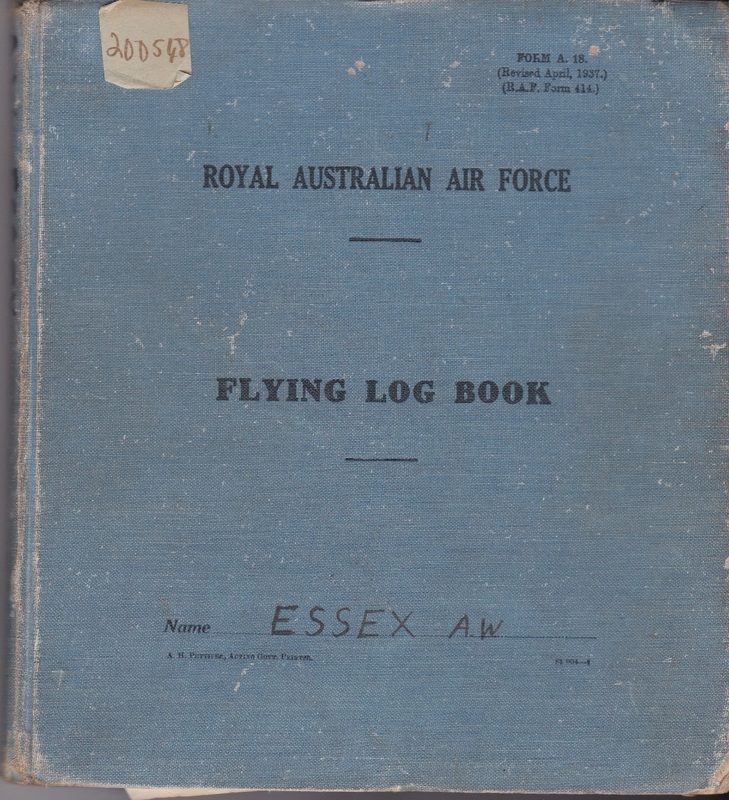 A Flying Log Book named to 417354 Essex, Adrian West who enlisted on 25 Apr 1942 at Adelaide and was KIA over Hannau on 19 Mar 1945 as a of Flying Officer in 103 Squadron. The book starts on Aug 1942 at 1 E.F.T.S. Parafield and finishes Mar 1945 at 103 Squadron Elsham Wolds flying a Lancaster. BO1061. 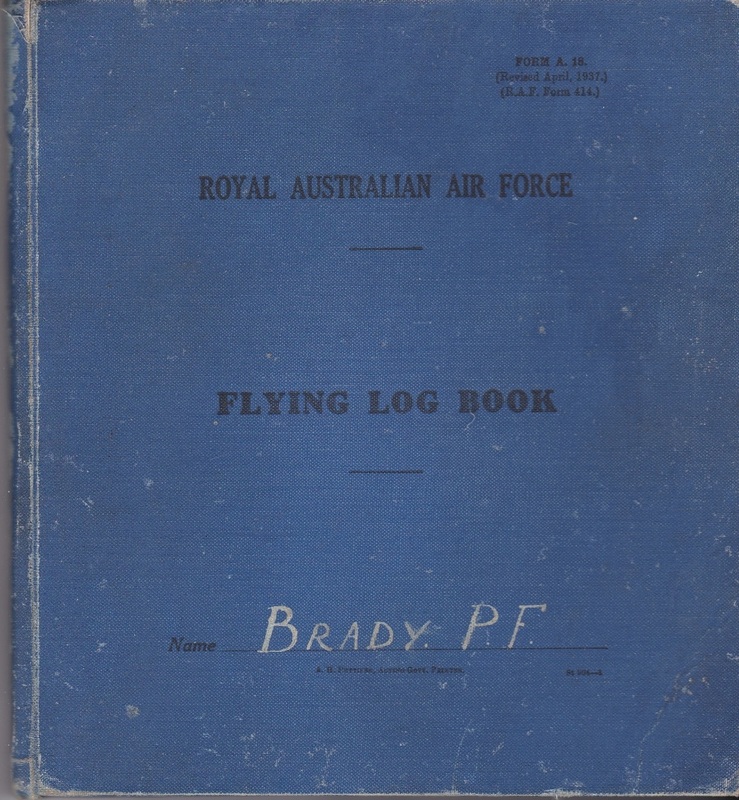 A Flying Log Book named to 440895 Brady P. F. Patrick Francis enlisted on 24 Mar 1944 at Toowoomba and discharged with the rank of Leading Aircraftsman on the 3 Aug 1945 from 3 Recruit Centre. 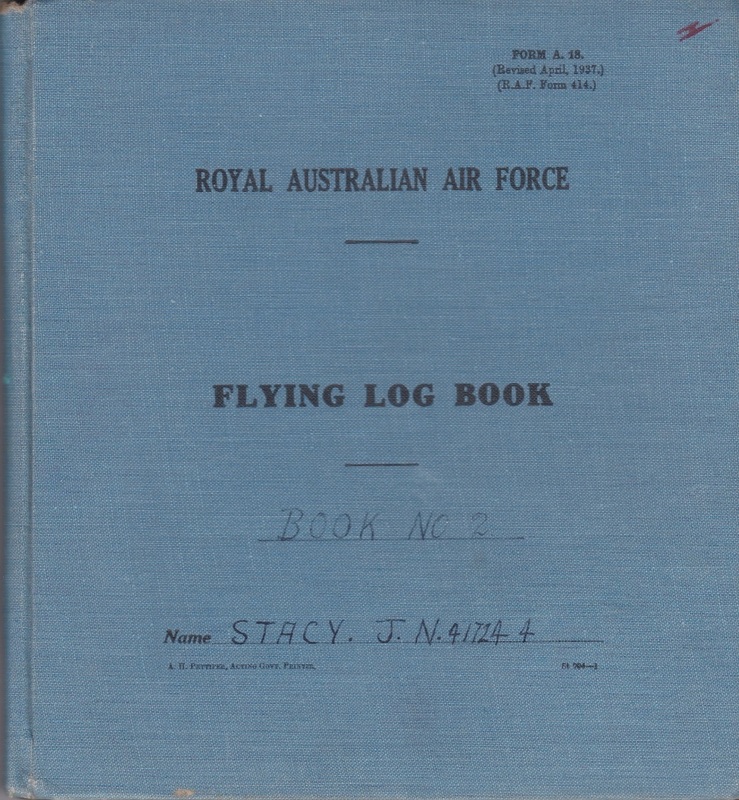 The book starts on 2 Oct 1944 at No 10 Elementary Flying Training School at Temora and finishes on 12 Feb 1945 at No 10 Elementary Flying Training School having attained the required standard. BO1062. 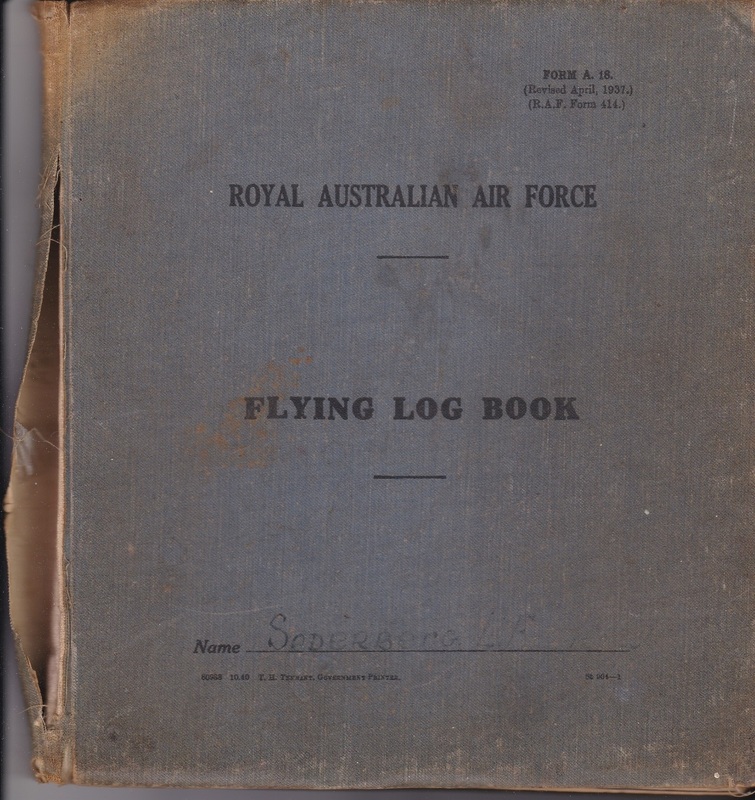 A Flying Log Book named to 408230 Soderberg L. F. Lionel Frank Soderberg enlisted on 22 May 1941 at Hobart and discharged with the rank of Flying Officer on the 7 Jun 1945 from 6 Recruit Centre. The book starts on 25 Aug 1941 at No 7 Elementary Flying Training School at Evandale Tas. and finishes on 4 Feb 1945 at Advanced Flying and Refresher Wing Deniliquin NSW. BO1064. 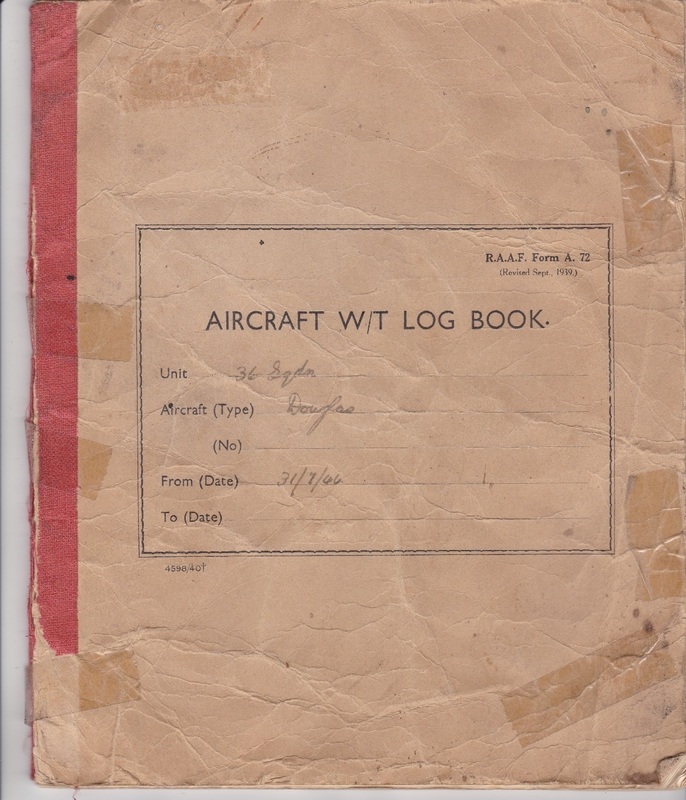 An Aircraft W/T Log Book named to various Douglas C47 DC3 aircraft dated from 31 Jul 1944 to 16 Aug 1945, covering Darwin, Townsville, Finchafen, Milne Bay, Bougainville, Moratai and Biak, etc. BO1102. 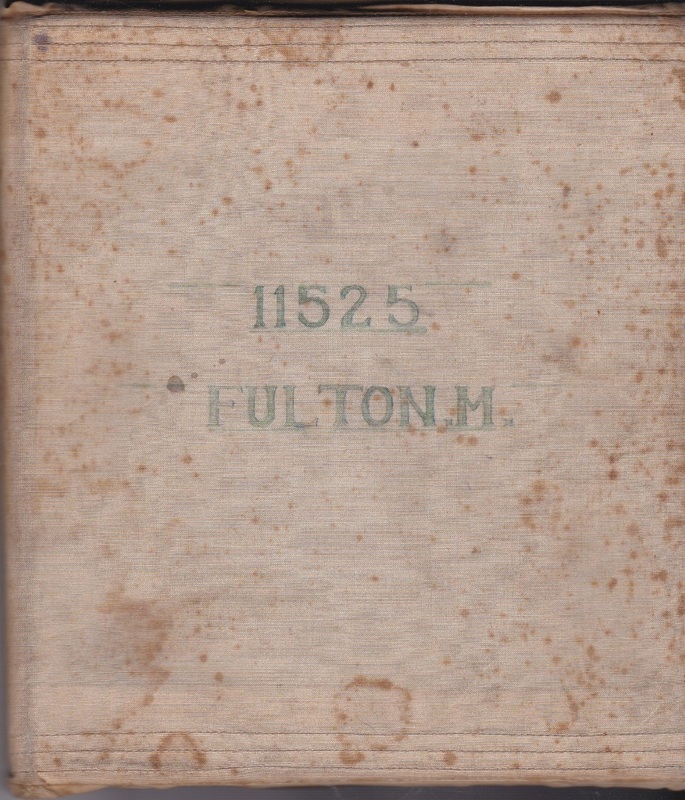 A Flying Log Book named to 11525 Fulton M. Malcolm William Fulton enlisted on 1 Aug 1940 at Melbourne and discharged on 17 Nov 1945 as a Warrant Officer from 2 Personnel Depot.